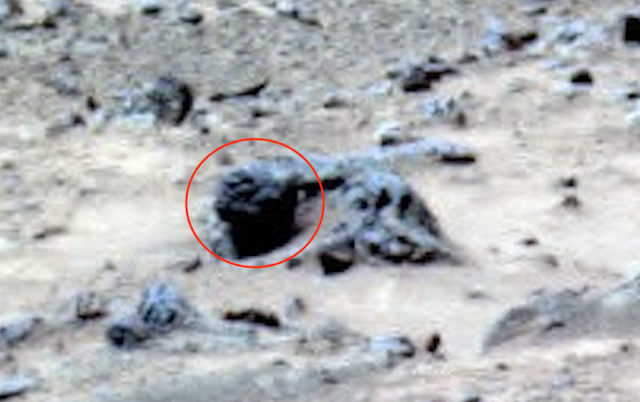 UFO SIGHTINGS DAILY: Socrates Face Discovered On Mars Near Spirit Rover, March 26, 2019, UFO Sighting News. 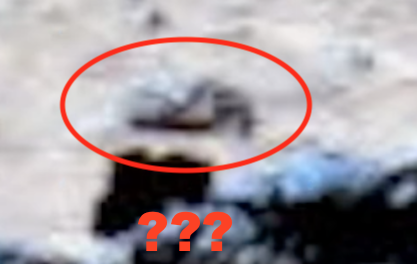 Socrates Face Discovered On Mars Near Spirit Rover, March 26, 2019, UFO Sighting News. 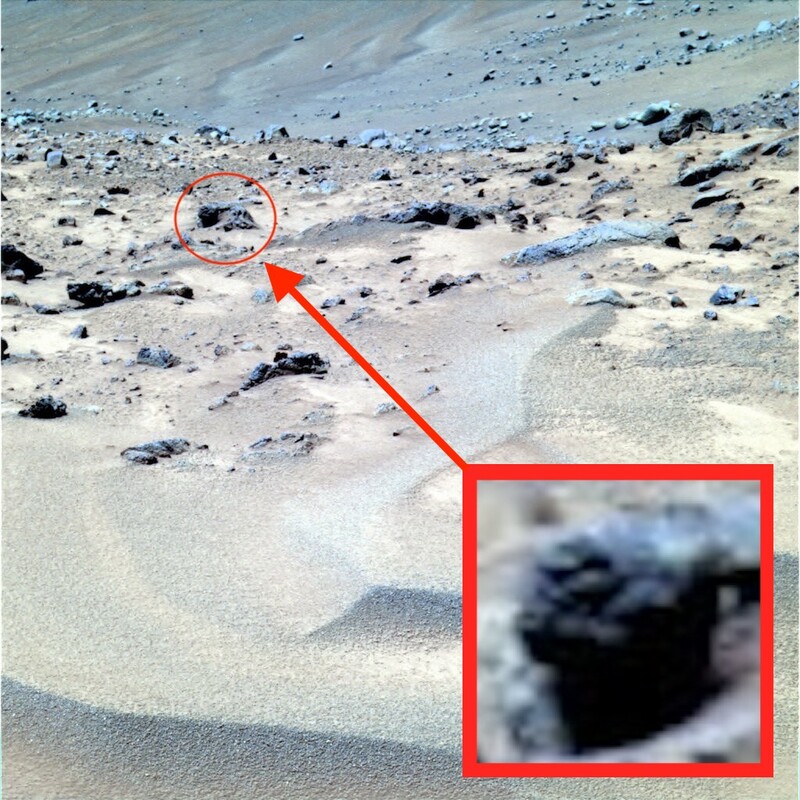 This is odd I know, but I found another face on Mars. This face has a lot detail so that we can truly make out what that alien species looked like. I can easily make out the neck, bearded chin, cheeks, mouth, ears, nose eyes and forehead. The closer I looked at it, the more I realized I had seen this face before. This is Socrates the great greek philosopher and teacher. Every detail about the face matches perfectly. 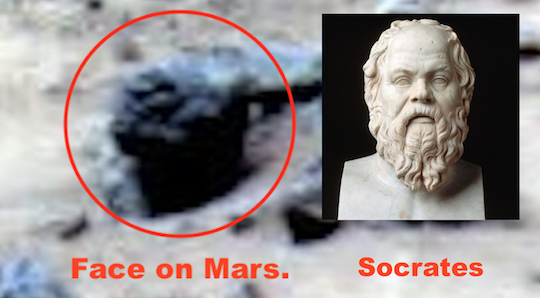 So, was Socrates from Mars? Perhaps. That would explain his advanced and organized way of thinking and how he tried to influence the world with it. Why is this important? A persons face is their autobiography. It tells us all about the species from the appearance to the emotional personality of the person. Their whole life is visible if you look at it carefully. When I look at this face I see character, I see pain and suffering, but never ending relentlessness. His chin is up showing his pride and confidence. Also by seeing the face before meeting the species, it can make people relax knowing what they will be encountering. By showing people these faces I find, I am taking away their fears that have been created by Hollywood movies and shows. That face in the photo, it looks a lot like a 70 year old grandfather here on earth, doesn't it?